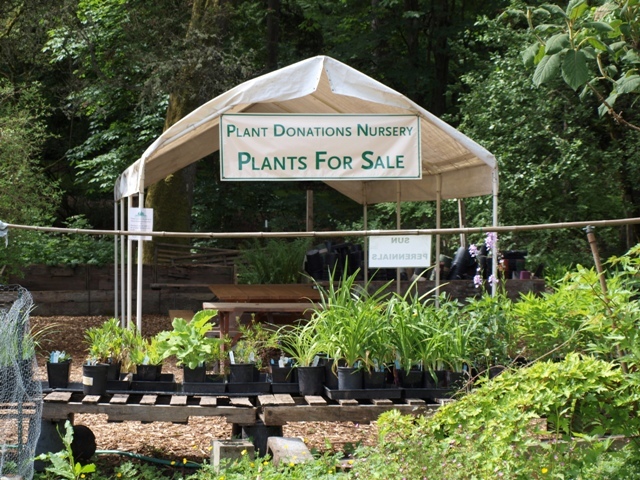 The Plant Donations Nursery at Washington Park Arboretum. The nursery is now open to receive new donations! From April to November, the Plant Donations Nursery sells plants donated to the Foundation by area gardeners to raise funds for the Arboretum. The volunteer-operated nursery features a great selection of garden favorites at great prices. It also co-hosts our Early Bloomers Plant Sale. The nursery is happy to receive donated plants of nearly all shapes and sizes, in particular colorful and hardy perennials and shrubs. To prepare for the spring season and this year’s Early Bloomers on Saturday, April 11, our nursery volunteers have put together a wish list of plants that they would be particularly thrilled to receive. Perennials: Trilliums, erythroniums, hellebores, pulmonarias, primroses, epimediums, hepaticas, Bergenia (small leaf preferable), Arabis, leopard’s bane (Doronicum), columbines, geraniums, Astilbe, pasque flower (Pulsatilla vulgaris), blood root, dwarf iris, early-blooming iris, and western wild ginger (Asarum caudatum). Shrubs: Kerria, Sarcococca, small rhododendrons, and azaleas. How to donate: The nursery is located just south of Graham Visitors Center. The best time to donate plants is when volunteers are present, on Wednesdays and second Saturdays, from 10 a.m. to 2 p.m. More info on how to donate. Open for sales: Plant Donations will be selling plants on Wednesday, April 1, and Wednesday, April 8. Early Bloomers, on April 11, will mark the official grand opening for 2015. Following the sale, the nursery will be open seven days a week.